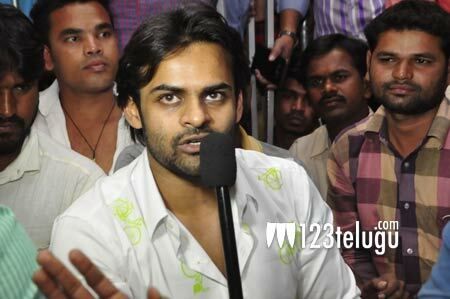 Mega hero Sai Dharam Tej is enjoying the success of ‘Supreme’. The movie is bringing in good revenues across the Telugu states and Dil Raju is very happy with the film’s performance. The film has a special fight towards the end, where differently abled people help Sai Dharam Tej in overcoming the villains. This fight is being appreciated by one and all and Sai Dharam Tej is very happy for being a part of this fight. Tej says that the happiness being seen in the faces of differently abled persons who watch this fight is very satisfying. The team also organised a special show in Prasad Labs for differently abled persons and spent time with them after the screening. Anil Ravipudi has directed this movie and Sri Venkateswara Creations has produced this movie.